The operators of the Arctic Basin terminals handled 6.7 mln t of cargo (+38.6%, year-on-year) including 4.2 mln t of liquid bulk cargo (+ 34.5%) and 2.4 mln t of dry cargo (+46.3%). 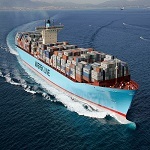 Throughput of port of Murmansk amounted 4.6 mln t (+38%), Varandei – 0.7 mln t (-9.9%), Sabetta – 981.2 thou t (up in 2 times), Arkhangelsk – 215.7 thou t (+56%), Kandalaksha – 157.9 thou t (up in 2.6 times). Container turnover in ports of Arctic Basin up 15.8% to 11.06 thou TEU, from which is the main part it’sit is a coastal freight shipments – 11.05 thou TEU (+15.8%), export – 10 TEU (+11.1%). Container turnover on Ports: Dudinka – 4.9 thou TEU (24.4%), Murmansk – 3.12 thou TEU (9.4%), Arkhangelsk – 3.05 thou TEU (+10.4%). The ports of the Baltic Basin handled 19.8 mln t (-4%) including 8.7 mln t of dry cargo (+19.5%) and 11 mln t of liquid bulk cargo (-16.9%). Throughput on Ports: Ust-Luga – 8.6 mln t (+5.8%), Primorsk – 3.7 mln t (-34.1%), Big Port St. Petersburg – 4.4 mln t (+8.5%), Vysotsk – 1.7 mln t (+12.5%). 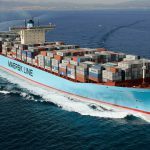 The container turnover in ports of Baltic Basin increased by 7.5% to 181.59 thou TEU, including loaded export – 62.3 thou TEU (+11.1%), empty export – 25.8 thou TEU (+2.2%), import – 93.5 thou TEU (+6.7%). Container turnover on Ports: Big Port of St. Petersburg – 158.37 thou TEU (+7.9%), port of Ust-Luga – 7.97 thou TEU (+19.5%), Kaliningrad – 15.28 thou TEU (-2%). The operators of seaports of Azov – Black Sea Basin handled 19.8 mln t (-0.1%) including 7.7 mln t of dry cargo (+0.1%) and 12 mln t of liquid bulk cargo (-0.2%). 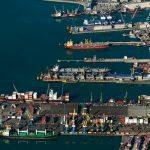 Throughput on Ports: port of Novorossiysk – 12.2 mln t (+5.4%), Tuapse – 2.1 mln t (-5%), Kavkaz – 1.3 mln t (-23.8%), Taman – 1 mln t (-16.9%), Rostov-on-Don – 1 mln t (+12.3%), Azov – 0.47 mln t (+12.4%), Taganrog – 0.22 mln (+24.3%), Eisk – 0.29 mln t (+15.7%), Temruk – 0.29 mln (+3.9%), port of Crimea – 0.75 mln t (+7.7%), Kerch – 0.6 mln t (-12.6%). 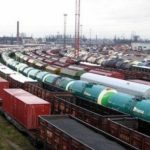 Container turnover in ports of Azov – Black Sea basin amounted 67.7 thou TEU (+19.2%), including loading export – 15.7 thou TEU (+1.3%), empty export – 16.7 thou TEU (+18.4%), import – 34.2 thou TEU (+29.1%), coastal freight shipments – 1.1 thou TEU (+55.4%), transit – 70 TEU (+29.6%). 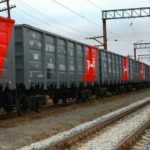 Container turnover on Ports: Novorossiysk – 66.5 thou TEU (+19.5%), Azov – 0.54 thou TEU (-21.1%), Sevastopol – 0.51 thou TEU (+22.5%), Kavkaz – 0.15 thou TEU. The ports of the Caspian Basin handled 426 thou t of cargo (+45.9%) including 240 thou t of dry cargo (+9.3%) and 185 thou t of liquid bulk cargo (up 1.5 times). 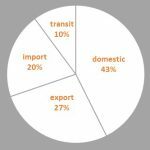 Throughput of port of Makhachkala up in 2.4 times to 237 thou t, Astrakhan – 157 thou t (-22.3%), Olya port – 30 thou t (+63.9%). Container turnover of the Caspian Basin down 33.7% to 197 TEU, including export – 108 TEU (-22.9%), import –42.5%, coastal freight shipments –45.5%. Throughput in ports of Far East Basin up to 15.2 mln t (+1.8%) including 8.7 mln t of dry cargoes (+6.4%) and 6.4 mln t of liquid bulk cargo (-3.9%). Port Vostochny handled 5.5 mln t (-0.1%), Vanino – 2.3 mln t (+15.8%), Nakhodka – 1.8 mln t (-6.3%), Prigorodnoye – 1.5 mln t (-8.5%), Vladivostok – 1.5 mln t (+25.6%), De-Castri – 1 mln t (+9.6%), Posiet – 0.5 mln t (-17.9%). The Far East Basin ports container turnover amounted 118.25 thou TEU (+14.6%), including: loading export – 16.6 thou TEU (+13.8%), empty export – 20- 20 thou TEU (+22.6%), import – 39.7 thou TEU (+23.5%), transit – 5.5 thou TEU (+4.7%), coastal freight shipments – 36.5 thou TEU (+14.4%). 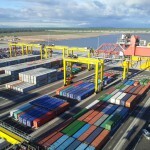 Container turnover on Ports:(loading export – 219.25 thou TEU (+23.7%), empty export – 224.61 thou TEU (44.4%)), import – 451.94 thou TEU (+38.1%), transit – 65.21 thou TEU (+20.7%), short-sea shipping – 522.59 thou TEU (+8.1%). Container turnover by ports: Vladivostok – 63.6 thou TEU (+11.3 %), Vostochny – 34.97 thou TEU (+28.9%), Korsakov – 7.33 thou TEU (+8.7%), Petropavlovsk – Camchatsky – 6.96 thou TEU (+49.2%).